Having left the corporate world behind at the age of 25 after a successful career in car sales, Adam Stott set about forging a new path as an entrepreneur. Having sold his house to raise seed capital, Adam went into business for himself and over the next 9 years, built a £30 million automotive business from scratch, which was recognised by the London Stock Exchange for three years running as one of the Top 1,000 Companies to Inspire Britain (2015-2017). Adam’s commercial flair, positive attitude and entrepreneurial spirit propelled him forward to become an international speaker on business, author and coach to a growing number of business owners. He co-founded Big Business Events in 2016, as a forum for supporting aspiring business owners, as well as established businesses seeking growth advice. Adam was shortlisted for Entrepreneur of the Year at the 2016 Amazon Growing Business Awards. Adam believes strongly that there is always something new to learn and that surrounding yourself with those who have proven their own success will be of great value, no matter what their background. He has shared the stage and gained unique insight into the worlds of leading business luminaries and global superstars from the world of sport, film and music, including Randi Zuckerberg, Calvin Klein, Al Pacino, John Travolta, Floyd Mayweather, Anthony Joshua and 50 Cent. Members and guests of Big Business Events will benefit from Adam’s shared knowledge and experience, including the many challenges he has faced on his journey. He and his influential team offer guidance in all aspects of developing a business, from using social media to take your marketing to the next level, as well as the importance of personal and company branding, sales, customer service, finance and much more. 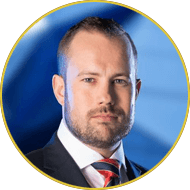 Entrepreneur Lee McQueen is the Founding Director of Raw Talent Academy – his award-winning business recruiting the best trainee sales talent across the UK – and a BBC Apprentice Winner. Entrepreneur Lee McQueen is the Founding Director of Raw Talent Academy – his award-winning business recruiting the best trainee sales talent across the UK – and a BBC Apprentice Winner. Recently named as Oxfordshire Young Businessperson of the Year Lee has established himself as a respected expert on sales recruitment with his business bringing an innovative, digital competency lead approach to recruitment. In 2008 Lee beat 20,000 candidates to be named as Lord Sugar’s Apprentice before working for the Entrepreneur for over two years. Lee played a key role as Development Director in helping Lord Sugar & Simon Sugar launch their digital signage business AMScreen. Since launching Raw Talent five years ago Lee has guided the business to being recognised as a multi award-winning employer located in Watlington, Oxfordshire. Raw Talent partners with organisations across the UK, helping them to recruit and train the very best trainee sales talent available through the company’s unique Academy process. 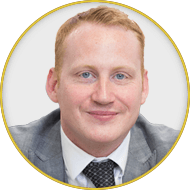 ‘Raw Talent’ himself, Lee has had successful careers in both Recruitment – pre and post The Apprentice – as well as Advertising. Lee also works with educational organisations sharing his experiences as well as advice. 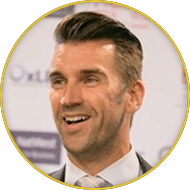 He is a popular and charismatic speaker often compering or judging business awards ceremonies. 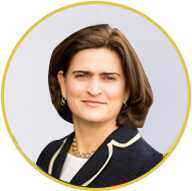 Cindy began her career in financial services at CSFB in London as a global Convertible Bond Salesperson in 1990. From there she was recruited to Head up Convertible Sales at Bankers Trust, where she built up an expertise in the Asian markets. She joined Salomon Brothers in 1995 and headed up the Swiss & Benelux desks, where she got wide recognition selling bespoke convertibles designed specifically for her clients to ensure low credit risk. She went on to join the Citigroup Derivatives Desk as a Managing Director in charge of Hedge Fund Sales for Equity Derivatives. In these roles Cindy received universal praise from her clients, and represented Citigroup across many high profile platforms, including winning the prestigious Opportunity Now Award. In recent years, Cindy has been active as a private equity entrepreneur and business coach, owning and managing an oil & gas exploration company, co-owning one of the oldest independent estate agencies in Prime Central London, and regularly consulting and coaching both executives and entrepreneurs in the fields of sales, negotiation, communication, development and leadership. 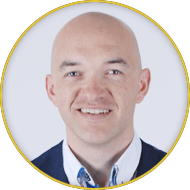 Leon Streete is the “Lead Generation Coach” and Founder of Young Cow Ltd, which has been established to assist small businesses with Digital Marketing Strategy, which is where Leon’s passion lies. The company name is very close to Leon’s heart and reflects both fresh and new ideas whilst being ingrained into his history with 20 years of marketing experience. Leon is also the co-host of Small Business Elevation Podcast and Your Business Focus Group Podcast, both of which are great examples of Leon’s purpose in teaching people how to be more successful with marketing their businesses. In 2015 Leon won the Coveted “Best UK Business Podcast Award” and continues to inspire and teach others. He regularly shares the stage as a speaker on the topics of “Sales Funnels” and “Digital Marketing” with the likes of Sharon Lechter, Don Green, Ingrid Vanderveldt and more. Laura Timm is known as an International Ultra-High Achievement Authority, Elite Speaker, Trusted Leader, Business & Success Mentor. Laura currently advises some of the top CEOs around the world. Laura Timm is known as an International Ultra-High Achievement Authority, Elite Speaker, Trusted Leader, Business & Success Mentor. Laura has gone from being a small-town girl to advising some of the top CEOs around the world. 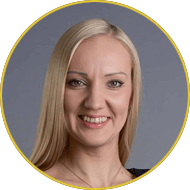 It is Laura’s amazing ability to quickly assess situations and come up with effective solutions as well as her tactical insight and real world experience why so many business people reach out to her for advice. Laura has a unique skill to view problems that are often seen as complex and deduce them to their most bare elements to come up with reasonable and practical solutions. She has an incredible wealth and depth of knowledge that is mostly derived from first-hand experience while working in different industries. This immense diversity within industries allows her to create an interdisciplinary approach as well as explore profitable partnerships that may be possible. Laura now speaks on international stages sharing her success strategies. She has spoken on the same stages with some of the world’s greatest names, including Randi Zuckerberg the former Director and spokesperson for Facebook, George Ross ‘The Apprentice’ TV show judge, Hollywood A-Lister John Travolta, American fashion designer Calvin Klein, American rapper- actor-television-host Vanilla Ice, American rapper-actor-businessman 50 Cent, Hugh Hilton the Founding Partner of A&M Capital Real Estate and many others. His latest venture is The Digital TrailBlazer, which aims to help small service sector businesses rapidly grow using cutting edge marketing techniques. Ajay Nayyar is an actor, property investor, serial entrepreneur and international coach. Having started his first business at the tender age of 19, he’s not looked back and has continued to grow in a number of different industries. 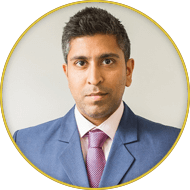 After studying passionately everything he could in business and learning from multiple business coaches himself, he now passes on his knowledge to those wanting to better themselves in the world of business and property investment.